I hope you will able to upgrade into Warcraft Patch 1.24e after downloading the link above. But if you still failed, try the Warcraft Version Switcher 1.24e. 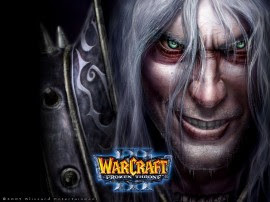 Enjoy the Warcraft 1.24e Patch! Why the 124d_124e patch doesnt work? @Chal - Could you tell me what kind of error happened? how could we use the version switcher? cause everytime I download the said switcher the versions are not available,..can i have some opinions from you,..'cause I just don't know how to operate it,..Please 'am badly begging you,..
@alief, the patcher doesnt launch, i clink it many times but nothing happen,i even try to run it as administrator,but again nothing happen. I hope someone also encountered this problem. @alief, the patcher doesnt launch, i click it many times but nothing happen,i even try to run it as administrator,but again nothing happen. I hope someone also encountered this problem. Yeah, im searching also the blizard forum,in case they're also encountered this. If im not mistaken that's still a or b.
how can i use the hotkeys??? is it hard to use??? i cant updated the game!!!! and my war3 usually cause a critical error how to fix this problem? can i ask sumthing...in my warcraft, it shows 1.24.4...is it 1.24e already or not?? Guys 1.24e kahan se download karen? the said error is "an error has occured prepairing the patch. i cant update my version.. what is this a joke!!!! can i downgrade my 1.24e to 1.24d? i dunno why it say fails...and i can't play garena ..maybe there's a problem with my warcraft file??damn! can i ask,, how to update warcraft3 1.24e to latest patch? how to download full version warcraft 3 frozen throne ?